Demian Esser, MBA, finance professional with extensive deal origination and execution experience having invested and advised globally on M&A and private equity transactions with total deal volumes of more than US$35bn. In-depth industry know-how in the business and consumer services, transport and logistics, infrastructure, media, leisure & tourism sectors. 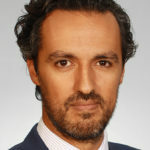 Prior to founding Pedralbes Partners Demian was a Director at Citigroup’s investment bank, managing the EMEA (Europe, Middle East & Africa) transportation and services team. Prior to that Demian was a strategy management consultant with Accenture in their Products and Services practice in Berlin. MBA from IESE Business School, Barcelona and BA Hons in International Business Studies from the European Business School, London. German/Bolivian national and fluent in English, German and Spanish. Demian Esser joined CBA as M&A Adviser in June 2016.